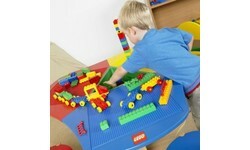 A LEGO Play Table excels in safety, quality, design and durability. They have become world famous over the last few decades and by now practically anybody is familiar with them. Below you find our complete LEGO play table range: the LEGO Education three seat play table and other original play tables for use in both public and private play areas. A LEGO play table is extremely solid: the used materials are highly durable which allows your investment to benefit from the very first day, year after year. Depending on your choice of bricks, all tables can be used as DUPLO or LEGO play table. Whatever your choice, the kids will be grateful! This practical DUPLO play table with storage and chairs has been designed for use by preschoolers and in daycare centers, primary schools and public playareas. 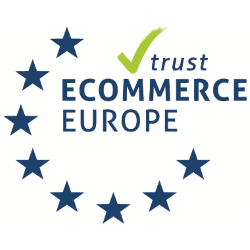 Delivery also in UK. 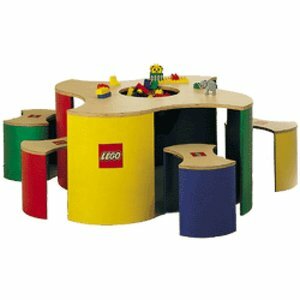 A highly presentable laminated LEGO play table 9806 with brightly coloured legs and stools. Designed to withstand all wear and tear, the table can be moved around should you wish to reposition it. Comes with a range of 160 LEGO DUPLO bricks. 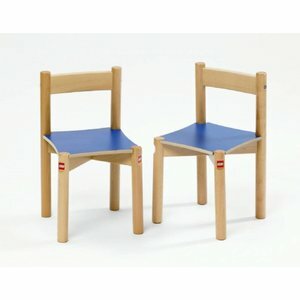 For additional comfort, you can now equip your LEGO Play Table with these ergonomically designed chairs. Function and pleasure come fully together. 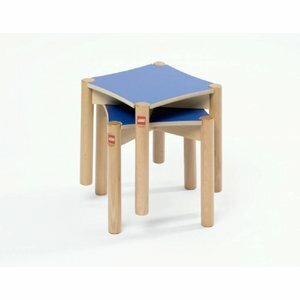 Stools for use with the LEGO Play Table (art 9809). A set of two stools with robust, melamine seats and beech wood legs. The party can safely start! 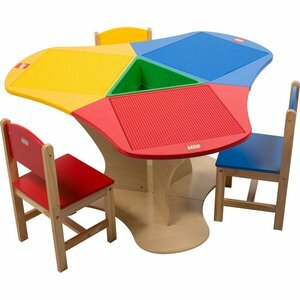 This melamine LEGO Table and chairs offers many different kind of activities due to the reversible top. Children can choose to do construction activities at one side or engage into other (group) activities on the other. This LEGO Table with storage (LEGO 4509) is very child-friendly, this Kidkraft lego table has nicely rounded triangular shapes. Three seat triangle LEGO table with 3 matching chairs in different colors.